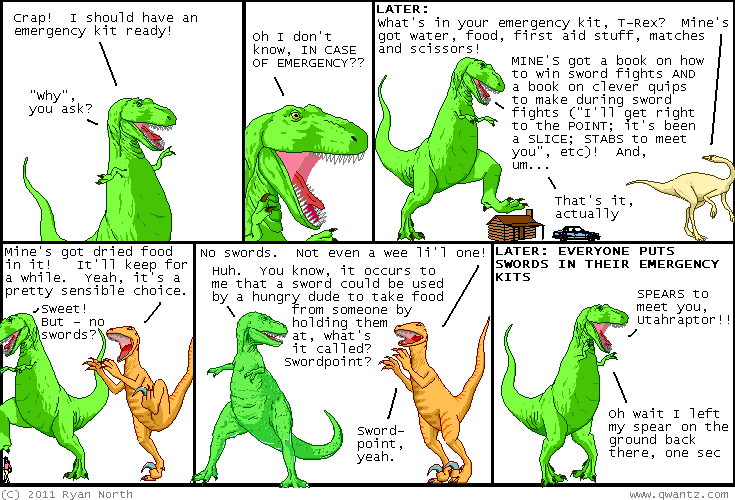 Dinosaur Comics - December 5th, 2011 - awesome fun times! –I am now in the island nation of Japan! December 5th, 2011: The International Holiday Shipping Deadline is this Friday! This is your chance to buy ALL the awesome things.